F or those looking for a unique Fourth of July, traveling up to Hood Canal is an excellent option. Around the 4th of July, beautiful firework displays occur around the entire region, giving you a chance to avoid the crowds and have a slightly calmer day. 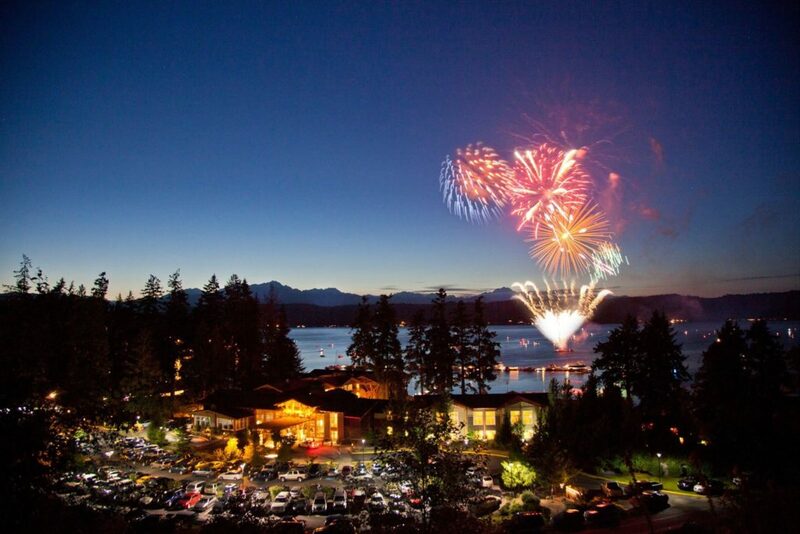 Whether you want to witness the fireworks from a mountain top, smell the salty waters of Hood Canal as you watch the colors bursting in air, or just take a drive as the sky lights up, we have the perfect list for you. On July 4th, driving up Highway 101 along Hood Canal will give you an up-close and personal fireworks display in all the small communities dotting the eastern Olympic Peninsula. What makes this a great idea is that you can bookend your firework watching at the Lucky Dog Casino. After a morning of hiking at Staircase in Olympic National Park, where you have a chance to experience the wilderness bliss of the Olympics, head back to Skokomish. After eating dinner and playing some of the exciting gaming at Lucky Dog, take the drive from Skokomish to Quilcene and back, where once the sun dips behind the mountains, the night sky starts to erupt in colorful bursts right along the highway. Once the darkness blankets the region, the drive up Highway 101 is a non-stop 4th of July celebration, with fireworks seen right next to the road, across the Canal and even directly overhead! If you haven’t experienced this, you are missing an exciting night of fireworks going off for miles on end! After the drive, head back to Lucky Dog and enjoy the rest of the night by playing games, eating more food, and maybe even winning big! Closer to Olympia, Boston Harbor’s Fireworks are stunning and fun for the family. Just above the Hood Canal, overlooking the entire expanse of the Puget Sound, seeing the fireworks from the Upper Parking Lot at Mount Ellinor is a memorable and fun experience. As the darkness rolls in over the region, those looking down at the lands below will have a chance to see nearly every firework set off between Olympia and Seattle. What makes this place so unique to see fireworks is that up in the mountains, far from the fireworks themselves, you hear no noise, only witnessing flashes of colorful light in the towns below. 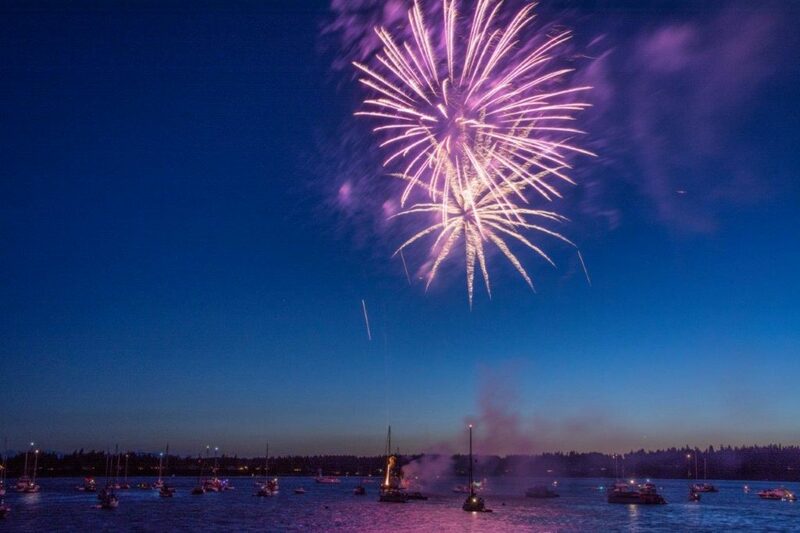 While being here on July 3 or 4 will give you fun views of the region’s fireworks, the night of the 4th is the best, as you’ll see the fireworks from Tumwater, Tacoma, and Seattle all going off in the distance. Make sure that if you do head up here that you get here early to get a lay of the land before it gets dark. 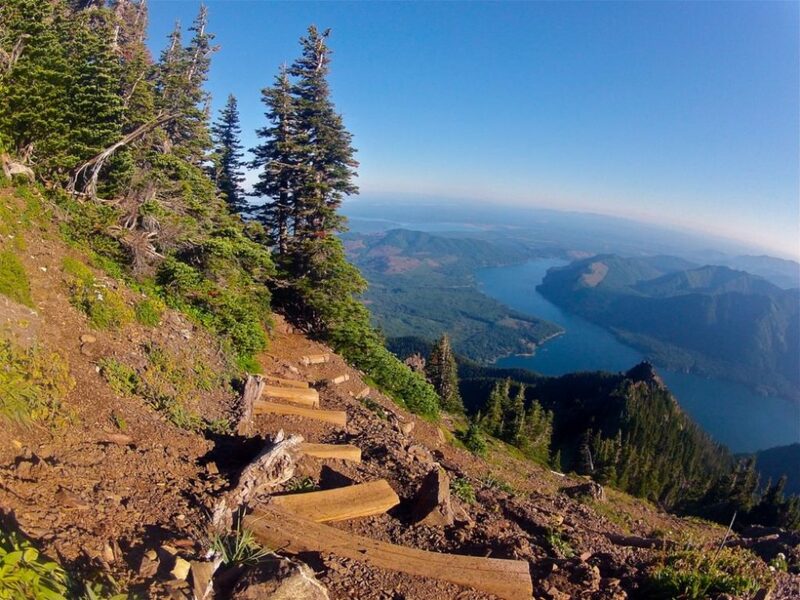 Better yet, get a campsite at Skokomish Park at Lake Cushman, spend the day hiking the best trails in the region and make an entire short vacation out of the event! From the trail or the upper parking area at Mount Ellinor, witness the entire Puget Sounds firework displays on the 4th. Have you ever wanted to see the Seattle Fireworks, but didn’t want to deal with the traffic and parking stress of going into town? Mount Walker, at the northern end of the Hood Canal, solves those problems. Located 2,804 feet above the waters of the Salish Sea below, Mount Walker has unrivaled views of not just the city of Seattle, but almost the entire region from the upper areas. Mount Walker is far enough away from Seattle that you won’t hear any noise from the fireworks. Instead, you’ll see the fireworks bursting above the city in brilliant beauty. For this, we highly recommend getting there early, bringing some food and binoculars. Those who want a true adventure may want to consider hiking to the top along the switchback trail, just make sure to bring a flashlight and extra batteries! Mount Walker is far enough from Olympia that you should really consider finding a place to stay for the night, as the roads can be more unsafe on the night of the July 4. 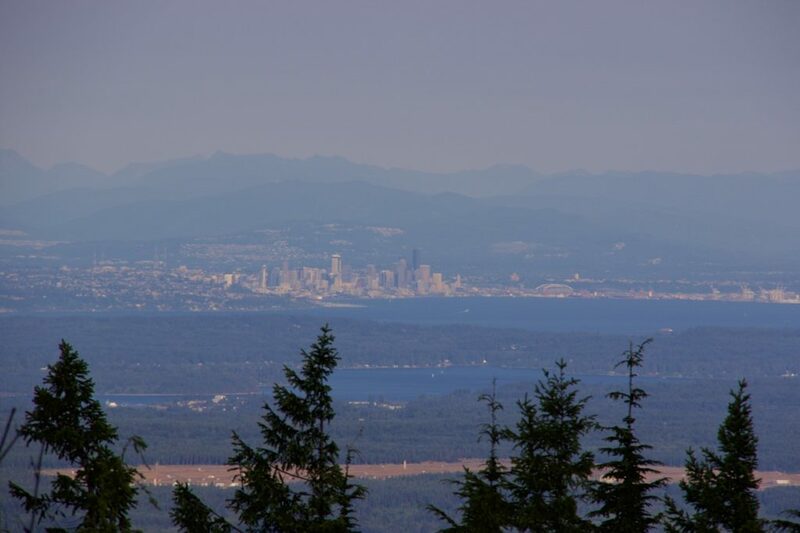 With vies like this of Seattle from Mount Walker, you know the fireworks on the 4th will look amazing! For those wanting something a bit more low key, head to Twanoh State Park. While not at a higher elevation like the previous two destinations, Twanoh State Park shows off Alderbrook’s July 3 fireworks show, as well as a chance to gaze up at the night sky afterwards. Once the fireworks are finished, we highly recommend heading to the aforementioned Lucky Dog Casino and making a full night out of the trip. With great foods and ridiculously fun gaming opportunities, ending your night before the 4th by experiencing a few fireworks on the slot machines and tables makes for the ultimate winning combination.